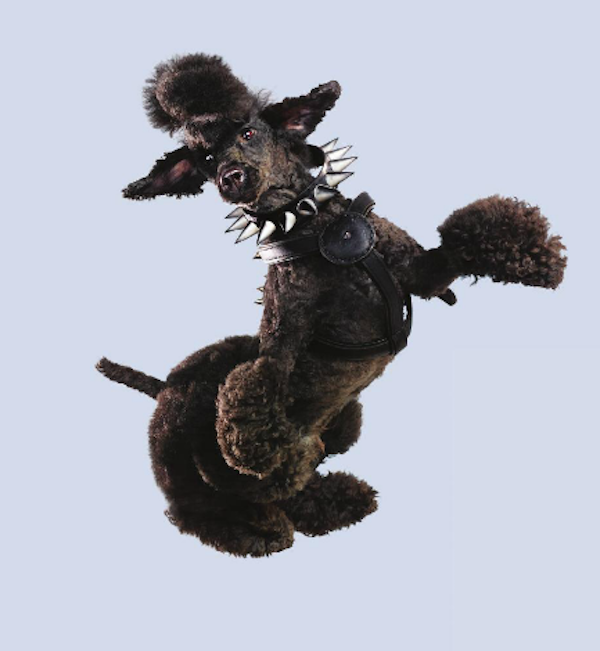 Do you remember a series of eye-catching photos of dogs appearing to fly through the air, from a couple of years ago? Well, the photographer behind the project, Julia Christe, has turned the ruse into a full-on book. 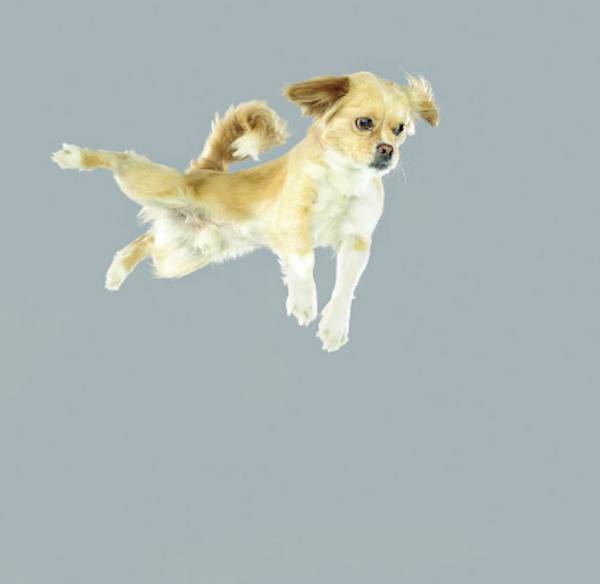 Appropriately, it’s titled Flying Dogs, and inside its glossy pages you’ll discover a range of pooches in all sorts of off-kilter mid-air poses. Here’s the inside scoop on how Julia did it. Julia’s interest in shooting things flying and zipping through the air started back in 2006, when she found herself photographing a series of parachuters plummeting gracefully to earth. 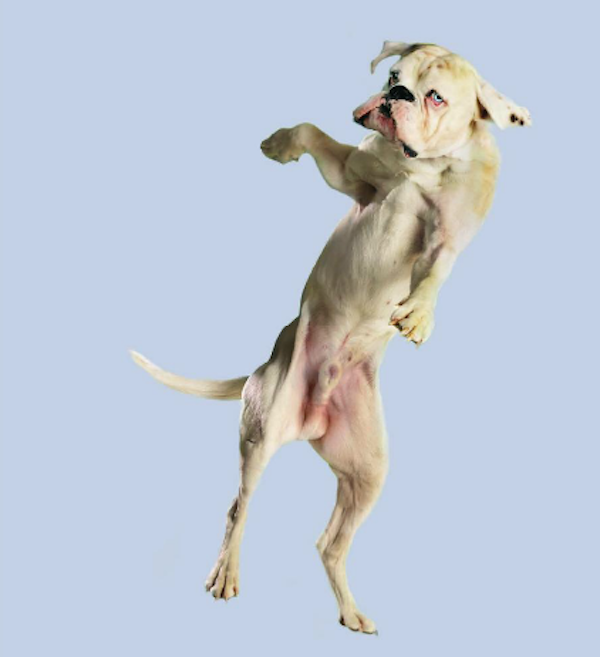 This inspired her to think about the idea of capturing dogs looking like they’re engaging in various forms of flight. When it came to her first forays into the world of flying canines, Julia looked to her own pooches, Lucca and Flinn, as inspiration. In particular, Flinn the Spanish Water Dog was obsessed with springing as high as he possibly could when chasing and catching his favorite Frisbee. 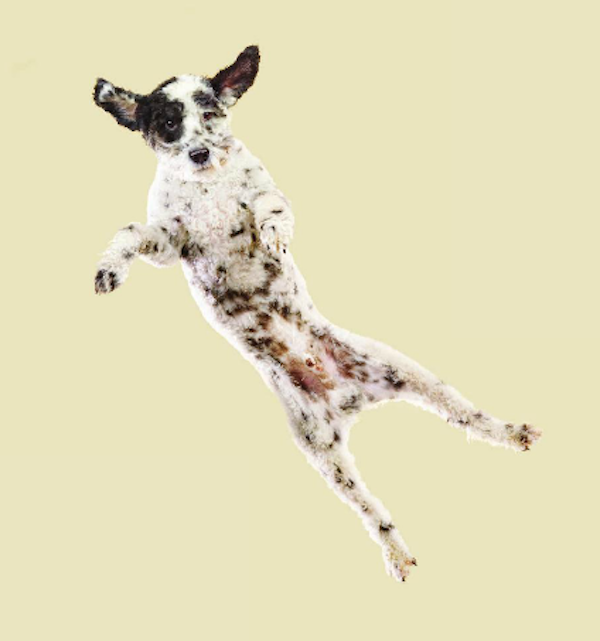 As Julia’s Flying Dogs photo project began to take shape, she ironed out some technical details of the shoots. First, to ensure a pleasing depth of focus, she needed to ensure that all the participant dogs jumped from the same precise spot as they tried to catch Frisbees. If you were wondering, Julia settled on a 20cm range that they could leap around in. 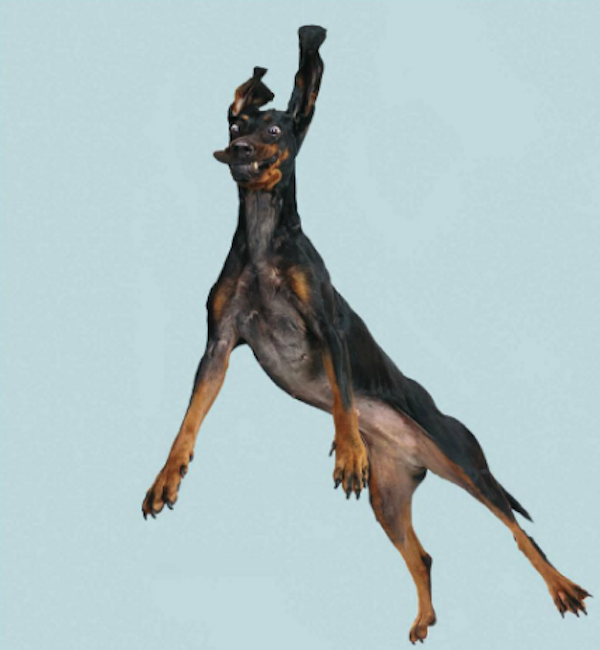 When she’d photographed a batch of flying dogs, Julia had to go back to the lab and review whether or not they “looked a bit too weird.” There’s a fine line between an open snout and peeled eyes looking dynamic and athletic or simply crazed and too cartoonish. After tinkering around with a setup based on getting various breeds of dogs to catch balls and Frisbees, Julia ultimately scrapped the concept and took a totally different approach. Well, on one level, she doubted whether she’d be able to find, say, a Pug or a Bulldog who was that interested in hunting after a Frisbee. Also, not all dogs are created as athletic as each other. So Julia decided on another tactic: Having each dog’s owner holding them up at a certain height and then playfully throwing them down onto a well-padded mattress below. Also, dogs were definitely encouraged to dress themselves up for the occasion. 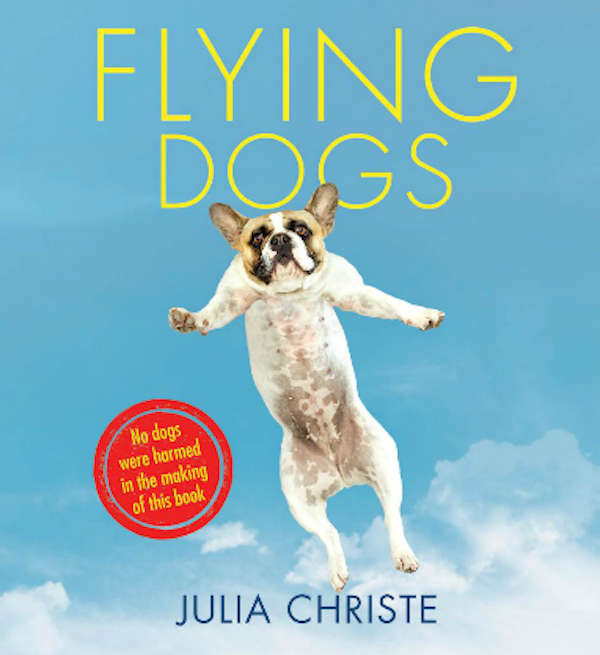 Flying Dogs by Julia Christe is available now via Touchstone. 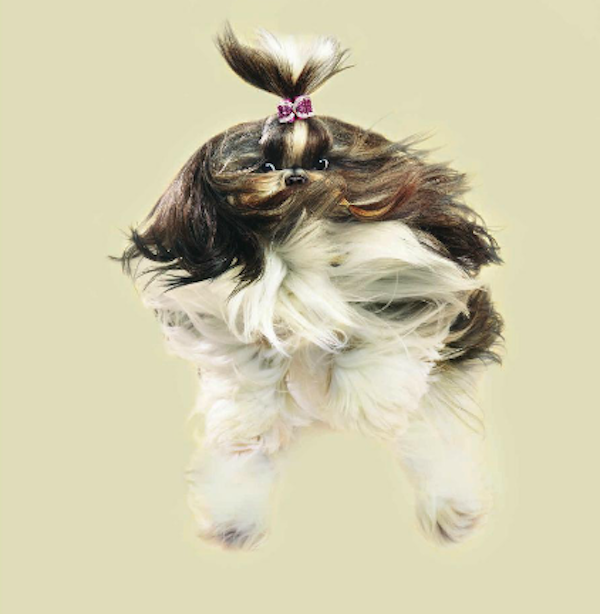 The post We Love Julia Christe’s Photos of Flying Dogs appeared first on Dogster.